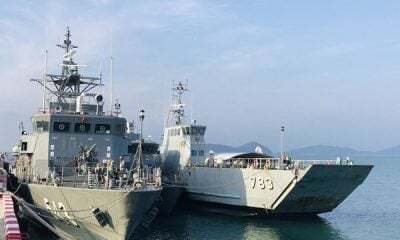 PHUKET: The body of a man presumed to be of European descent was discovered hanging from a tree in a secluded area of Rawai yesterday afternoon. Police were unable to identify the deceased but said he was Caucasian, about 180cm tall and estimated to be in his 40s. He had been dead for about eight hours before his body was found, police said. 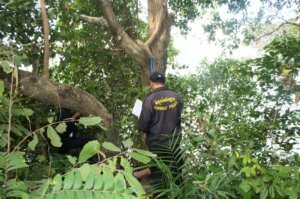 A local resident initially discovered the body at about 4pm when fishing in the wooded area off Soi Leamganoi in Rawai. The body was hanged from the neck by a long, blue, nylon packing cord tied to a low branch. Police presume the death to be suicide as there were no signs of any superficial injuries on the body or anything to suggest a struggle. The deceased, of average build, clean cut and with light brown hair, was wearing a white, short-sleeved, button-up shirt; cream shorts and dark blue sandals. The only other object collected by police from the scene was a bottle of water. The body was taken to Vachira Hospital for further investigation.